Is it possible to drop a payload via anchored parachute? I'm trying to drop a payload via parachute with some accuracy. I'm worried that in the above setup, the line will interfere with parachute deployment or - if not deployment - operation during flight (imagine wind pushing the chute into the line). I haven't tested this yet but plan to. Does anyone know how the payload <> anchor connection might be engineered to ensure full deployment throughout the descent? I'm trying to drop a payload via parachute with some accuracy. Cut a hole in the middle of the parachute, make its edge smooth and install a pipe through the center of the box that contains the payload. Run the line through the pipe and parachute and let the payload fall from the balloon. I believe the trick will work for small parachutes able to deliver up to 10 kg to the ground. If the hot air balloon is well anchored you can probably just use your original plan. The winds aloft will push the balloon in the direction the wind is going, so the anchor rope should be at an angle relative to the ground. When you drop the parachute, those same winds should keep the parachute/payload pushed clear of the anchor rope. So long as the drag rope connecting the payload to the anchor rope is sufficiently long and the mechanism connecting the drag rope to the anchor rope is sufficiently slippery, you shouldn't have a problem. I worry about Energizer777's solution though. Mainly because the rope might be angled because of the winds aloft, as stated before. Payloads on a parachute like to hang right below the parachute (more or less), and if the angle on the rope is sufficient the payload will simply end up resting on the rope itself, which might foul up and collapse the parachute since it's load will not be pulling on it properly. Set up the payload and small chute on a bar, the opposite side of which has a counterweight with a small chute of equal size, so as to keep it parallel to the ground. Also consider setting up a bar with the payload attached and a large parachute, attached at both ends to two separate anchor lines. Both of these ideas have the advantage of modular, uncut boxes. That is to say, use two beams to guide two rings along the anchor rope, and connect the parachute to the top of the A. 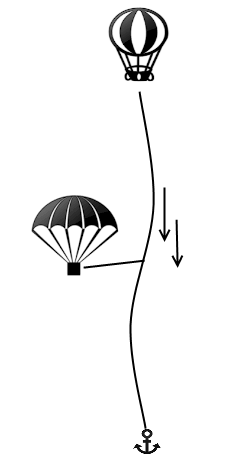 Furthermore, connect the payload to the middle of the A (below the connecting bar) to balance the air friction of the parachute and the rope friction on the other side. This reduces the tilting torque. Not the answer you're looking for? Browse other questions tagged aerodynamics parachute payload or ask your own question. What does it mean for a payload to be “caged”? Is there a standard text for parachute design? Do any commercial airline models have a parachute at rear to help in landings? 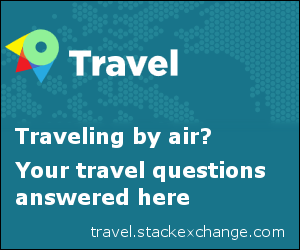 How do airlines plan their payload for multiple flights in a day? How big a balloon would need to be to replace a parachute? Is there any civil aircraft that decelerates with a parachute? What is the equivalent height of a parachute landing? How would a helicopter deal with auto rotation when it transports a hanging payload? If my parachute fails to open, why should I aim for land rather than water? How is maximum payload determined in the payload-range diagram?